Anne Whitaker's blog exploring astrology's many highways and byways…come and join me! ← Moving forward today: Jupiter in Leo, master of creative excess! This entry was posted in Guest Posts 2015/6 (6 articles), Uncategorized (35 articles), Uranus/Pluto (5 articles) and tagged Steven Forrest, Uranus/Pluto Squares 2012-15. Bookmark the permalink. My main blog is 'Astrology: Questions and Answers', exploring astrology's many highways and byways ... also 'Writing from the Twelfth House', (May 2008 - May 2016: now an extensive article archive celebrating our connections with '...mystery, meaning, pattern and purpose...') Psychological astrologer, writer, teacher, mentor: MA, Dip Ed, Dip Social Work, Dip Psych Astrol. Working in person and on Zoom. Anne W’s Horoscope – drawn by hand! Taurus the Bull: stubborn or what?! "1. Astrology: Questions and Answers Facebook Page"
"Contemplating the Twelfth House – an optimist's take on self undoing"
"Wisps from the Dazzling Darkness"
Can we predict the future? Should we? How do I learn astrology? How do you get the best out of your Saturn/Pluto aspects? Ten Years on the Web – can this really be true? Uranus in Aries – farewell! What happens when Uranus Neptune and Pluto cross the I.C ? What is astrology's place in our contemporary world? What is the Saturn Return? Why is Virgo called the virgin ? 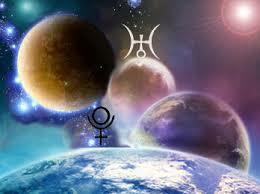 Sun conjunct Mercury: shall we talk about Twins? And Epigenetics?